These cubicles are great if your employees are looking for extra space to have small meetings or gatherings. 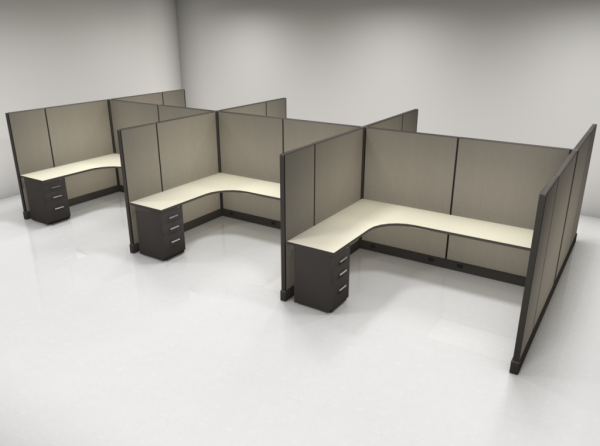 All of these new cubicles are 67″ tall and come in a 6X8 configuration. We can easily change the configuration to suite your space requirements. These cubicles can include all sorts of extras including glass panels, paper management, extra files, overhead storage bins and more. All of our cubicles come with a lifetime warranty. 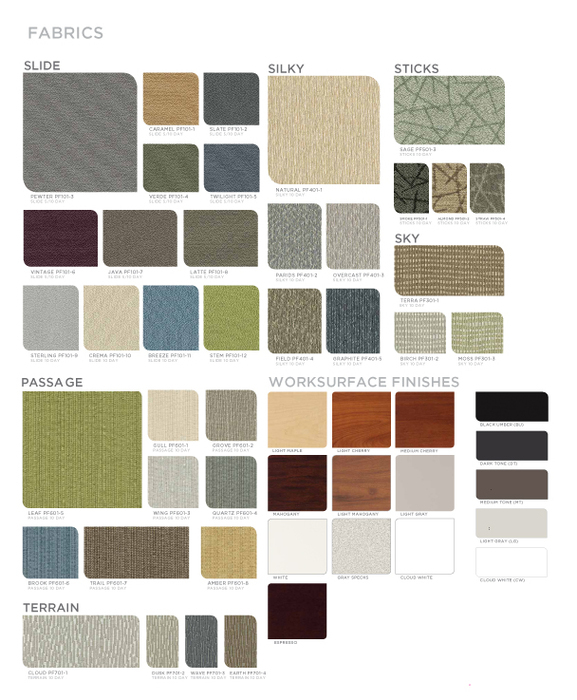 You will also have the ability to choose between 30 fabric and paint color options. Contact us today for a free space plan and design work.